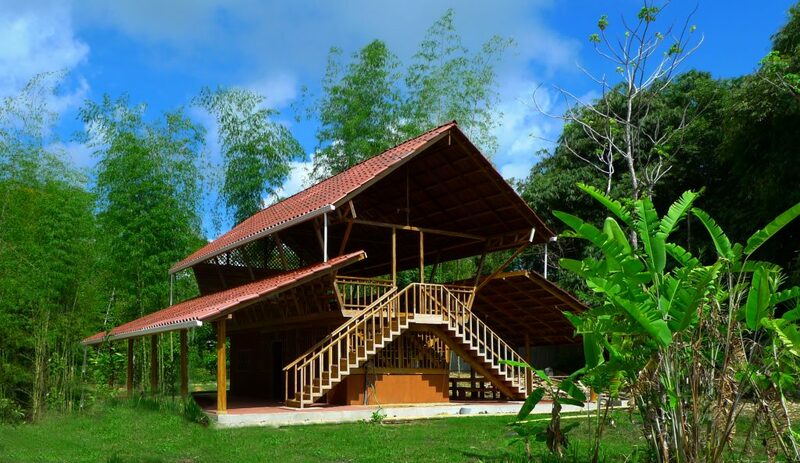 The Greg Gund Conservation Center is the educational campus located on our Cerra Osa property. The Greg Gund Conservation Center includes a beautiful education center donated to us by the Gund family. 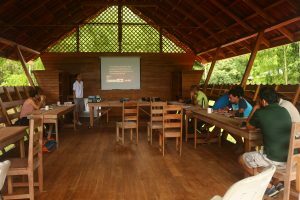 The education center includes a casual dining hall, kitchen, office, and is one of the best locations to hold workshops, educational courses, and general group assemblies. 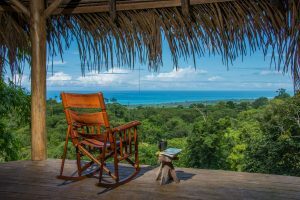 The property has a guest bunkhouse named Casa Hola Chau (Hello, Goodbye) that includes two indoor bathrooms, and dining hall, and communal living space. There are 4 bedrooms, each situated with two bunk beds, mosquito nets, electrical outlets and shelves. The maximum capacity at Casa Hola Chau is 12 – 16 people. If you’re looking for a scenic experience, the property also has platforms with amazing views and outdoor showers. These platforms will provide you with the closest experience to nature and the most breathtaking views. Not far from the education center, there is the Cerra Osa trail. This 1442 meter trail cuts through areas of forest restoration, primary forest, and secondary forest. The trail eventually splits in two, with both ends trailing down to our Piro biolgical station.